(MENAFN - The Conversation) I grew up believing in the forward trajectory of progress in science and medicine – that human health would continue to improve as it had for hundreds of years. As I progressed through my own career in health sciences, I continued to be optimistic. Now I have serious doubts. Science is still working well, but deadly obstacles are blocking the way between research and progress in the field where I work: Antibiotics. The threat to humankind is grave and growing worse by the day , but for reasons that escape my colleagues and me, there appears to be shockingly little collective will to do much about it. This week (Nov. 12-18) is World Antibiotic Awareness Week . We need to talk about this threat. We need to develop models of public-private co-operation — to incentivize, fund and invest in antibiotic drug discovery and development. Here's the problem: about 75 years ago, science brought penicillin into public use , opening a new era in infectious disease control, much as sanitation had done before that. Infectious diseases such as pneumonia and strep, which had commonly been fatal even in my grandparents' day, were tamed — at least for a time. In the generations that followed, life expectancy leapt by 25 years and infectious disease tumbled from its No. 1 one spot among all causes of human death, where it had consistently ranked higher than bullets and bombs — even during the World Wars. With cheap, abundant and effective antibiotics at hand, people in the developed world became complacent about controlling infection. But this whole time, while we have been living our better, longer lives, infectious diseases have been working on a comeback, and today they are pounding at the door. In fact, they are already breaking down the door. In a fast-forward example of Darwinian adaptation through natural selection, bacteria and other microbes are evolving to survive antibiotics. They will continue to adapt and they will succeed unless humanity builds new layers of defence in the form of new antibiotics and other creative approaches. Governments of the world recognize the crisis, as they affirmed at a special high-level meeting of the United Nations General Assembly in 2016 and at the G20 in 2017 . 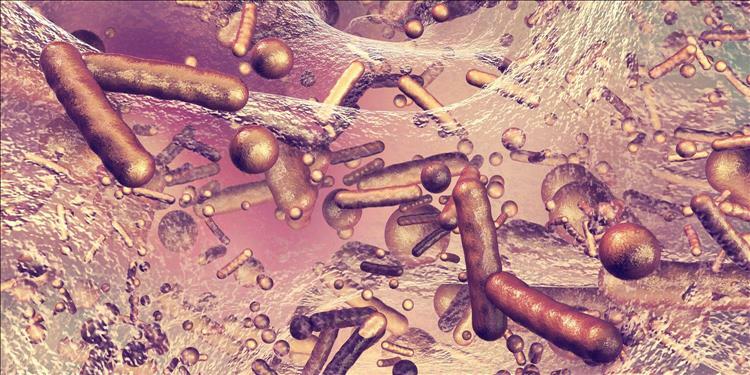 The troubling part is that we know what we have to do to create new antibiotic therapies, and though the work is undeniably hard, there already exist some promising new alternatives to older drugs, and more are in the pipeline . Unfortunately, they are not yet available on the commercial market, and they may never get there unless something changes to make them viable — not as drugs, but as commodities. The critical impediment to producing new antibiotics turns out to be our own economic model, which trusts the market to meet the demand. The invisible hand, as philosopher and economist Adam Smith called it, is not working here, and what's at risk is all of the progress that antibiotics has made possible. This past summer in the United States, two pharmaceutical companies earned FDA approval for new antibiotic compounds . As soon as the markets learned those companies had created drugs that could literally save the world, their stocks fell . Sounds counter-intuitive, doesn't it? It turns out that spending hundreds of millions to create, test and market a new drug is a bad risk unless the drug can earn back the investment within the 20 years before its patent expires. That's hard to do when you're trying to recover the cost one 10-day prescription at a time. And when you're prescribing the new drug only for infections that can't be resolved with cheap, traditional antibiotics, which still work in many cases. The only way it would make business sense to create new antibiotics would be to make them astronomically expensive, in the range of rare cancer drugs, and who would pay for that? Many argue that we should look at antibiotics the same way we look at fire departments. As individuals, we may never need them, but we are all willing to share the cost, because we expect them to be there. A public model seems to make sense, but who will take the political risk? Without intervention — where the public, through their governments around the world, cooperates with the private sector to help incentivize, fund and invest in antibiotic drug discovery and development — the end of effective antibiotics will be frightening. It will happen gradually, but it will certainly happen. The first stages are already here in the form of multi-antibiotic-resistant infections that threaten the basic function of hospitals. Next, we'll see common procedures like dental hygiene appointments and joint replacement surgeries cancelled permanently due to the risk of infection. People of all ages will begin to die again from illnesses that we have become used to treating with $10 or $20 worth of pills. Those who don't die will be sick more often and for much longer, driving up the cost of care. Life expectancy could fall back to where it was in the early 1900s, and the golden era of antibiotics would prove to have been but a brief, happy blip in history. It doesn't have to be this way. Lets turn our awareness into action.